Thu, Mar 21, 2019, 08:25 am SL Time, ColomboPage News Desk, Sri Lanka. 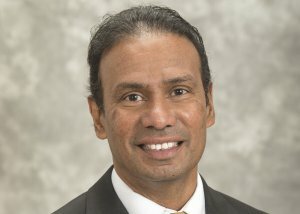 Mar 21, St. Paul, MN: Sri Lankan born academic Prof. Kumara Jayasuriya has been named as the 10th president of Southwest Minnesota State University by the Board of Trustees of Minnesota State Colleges and Universities, the school announced yesterday. Prof. Jayasuriya's appointment will become effective July 1, 2019. Chancellor of Minnesota State Dr. Devinder Malhotra, said Dr. Jayasuriya has the academic credentials, the experience, and the leadership skills required to guide Southwest Minnesota State University into the future. "He also has the personal traits that will allow him to not only identify the tasks ahead, but also to work in a collaborative, authentic, and transparent manner to bring about a shared responsibility among each and every member of the Southwest community and take the university to the next level." He also served Indiana University East (IU East) from 1993 to 2011 in several capacities including as assistant professor and chair of the Department of Mathematics, associate professor and division chair of the Division of Natural Science and Mathematics, and dean of the School of Natural Science and Mathematics. At IU East, he contributed to the creation of a School of Science Advisory Board, collaborated with other Indiana University campuses in establishing system wide and statewide programming, and provided leadership for all School of Science programs. He also created and implemented a strategic plan for the School of Science. He holds a bachelor's degree from the University of Colombo, a master's from Southern Illinois University, and a doctorate from the University of Wisconsin-Milwaukee.